Regardless of precautions, accidents will happen. When you are involved in a workplace accident, you need to follow a number of steps to deal with the problem. If you have recently been involved in a workplace accident, there are several steps you need to take right away. Here is what you have to do. The first thing you should do if you or another person just had a workplace accident is to identify if there is a medical emergency. Quick assessing of the problem will help you prevent the most serious complications. You should determine the type and extent of the injury before everything else. Have a staff member with formal first aid training assess the injury before taking any action. Health takes precedence over any legal implications! 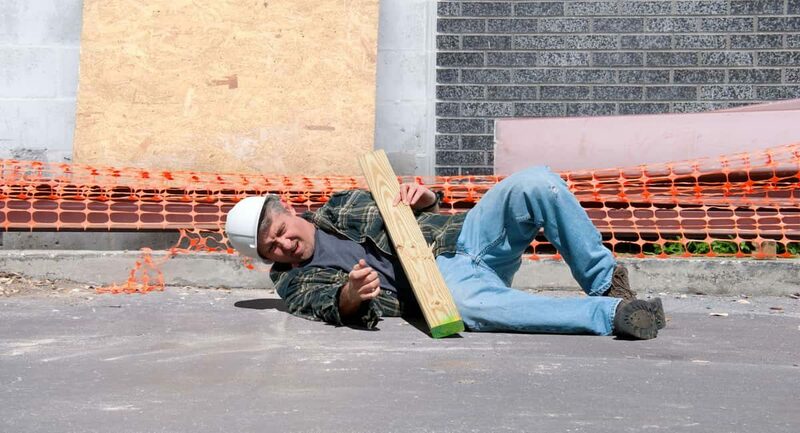 Most workplace accidents will only cause loss of productivity, but some can be life-threatening if you don’t act fast. Immediate medical attention will help the injured party establish the timing if their injury. It will also help the employer by minimizing the risk of complications and additional injuries. The most common workplace accidents result in muscle strains and back injuries. While these are not medical emergencies, the victim of the accident will need medical attention nonetheless. Medical attention is crucial for the victim’s safety. It is also critical in building a legal case when the victim is planning litigation. If you want to seek damages or file insurance claims, you will need to build a record of your workplace injuries. Also, note that some workplace injuries are less obvious than others. A slip and fall accident may leave you feeling fine, but you might have internal bleeding or head injury and may not know it yet. A doctor will help identify all underlying injuries after a workplace accident. If your employee or coworker just suffered a workplace accident, you should act with compassion first and foremost. Offer them your support and show you care straight away. Worker’s compensation insurance may cover any financial costs, but you should take steps to ensure your employee’s wellbeing after the accident as well. Read more about the most common worker’s comp injuries to know what your insurance may or may not cover. Remember that you will want your employee to return to work in a good mood. You don’t want an accident to affect workplace satisfaction for them or anyone else. What were the main causes of the accident? If it was a trip and fall accident, was it due to some misplaced item? Were all the rules and regulations followed? Did some special occasion cause disruption? If it could have been prevented, what went wrong? Is the risk still there? Also make sure to take photographs of the scene and any possible hazards, such as wet floors or dangerous items. Photos of the floor and the general area will help you claim your worker’s comp insurance, or build your case in court. You should also ask your doctor to document the state of your injuries upon your arrival. This is important because many workplace injuries don’t leave behind visible marks, and if the court takes time, you may not have solid proof of the accident. To avoid a lot of legal hassle, you should always have every type of workplace accident report form available at your workplace. When someone suffers an accident, hand them the forms or deliver them to the doctor who attended them first. These forms will allow the doctor to assess the situation and make official rulings when it comes to returning to work after the injury. This will minimize costs and productivity loss. This will also ensure that the injury is reported across the company. Depending on the size of your business, many different people would have to know about the injury. These include supervisors, HR managers, accident management coordinators, personal injury attorneys, insurance carriers, safety inspectors, and individual department managers. If you are a business owner and your employee had an accident, you should check in with them shortly after the accident to find out about their health. Offer your support, as we have seen above, and discuss the next steps. If you had an accident at your workplace as an employee, report to your employer as soon as possible. Just a brief call to let them know what happened is enough. You should let them know if you are planning to sue or claim worker’s comp benefits. Finally, whether you are an employer or a victim of a workplace accident, it is crucial to get legal help. When you suffer a workplace accident, you must make a claim and you deserve a fair recovery. Browse Halt Lawyer Directory for the broadest list of lawyers, including personal injury and workplace accident experts. Finding the right attorney as soon as possible is crucial to claiming your worker’s compensation benefits, so act now.